This is a brilliant activity for your fun away day with the children! 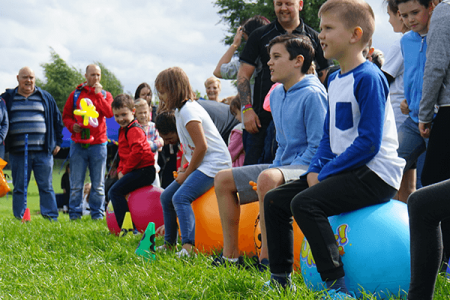 Enjoy activities such as; egg and spoon race, sack race, toss the beanbag, skipping, tiny tyre flip, one-legged race and so much more! The whole event will be finished off with a prizegiving and medals for the winning teams, a classic event that everyone of all ages can enjoy. "We done this instead of a School Sports Day at School, with such a small primary we thought it would be nice to take them all out for the afternoon. They all had a brilliant time with Great Away Days and the instructors were just amazing and kept all the kids safe!" 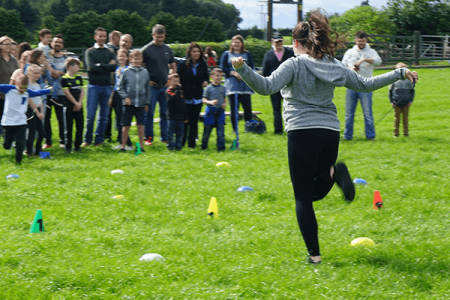 “The School Sports Day was fantastic for all the kids involved! It kept them engaged and having fun and that's all that matters. Everyone got a little prize at the end as well so they all left so happy. What a great day organised by Great Away Days! Thank you so much."